Today Spick & Span cleaned a two-storey double fronted house in the Camberwell end of Peckham. The six bedroom property had recently under gone renovation which included a dormer loft extention at the rear of the property. 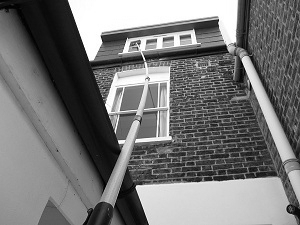 Spick and Span were able to reach the dormer using the waterfed pole technique of window cleaning.